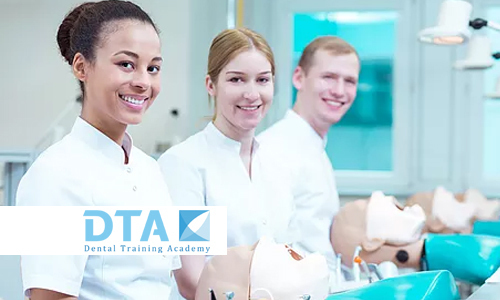 Our Dental Surgery Assistant (DSA) course is a certified program from Dental Nursing Australia(DNA), a recognised dental institution and presented by Dental Training Academy(Singapore) Pte Ltd to Singapore. This basic level 1 course introduces participants to the main roles of Dental Assistant, in theoretical terms as well as practical experience to familiarize with the instruments, equipments and basic procedures. The DSA Basic Course Level 1 is designed to equip those who are new to dental nursing or who may be experienced but lacking in related certification. Emphasis is on skill-based outcomes to ensure successful trainees are well-equipped to assist dentists. This course program provides partcipants with an Australian qualification pathway in Dental Assisting, which upon successful completion of Level I, II, III & IV, leads to entrance into Health Science with Edith Cowan University, Perth in Western Australia. No refunds will be issued if you cancel the course registration; however, you are welcome to attend the next available course. Graduated from Centro Escolar University in 2004, holding the title of Doctor of Dental Medicine. She has more than 12 years of experience in the dentistry industry. Her job experience includes assisting dentists as well as training dental nurses. On top of constantly participating in dental courses and upgrading her skills and knowledge, her previous work experience with Raffles Dental Hospital, Neuglow Dental White Centre and several other clinics, helped her amassed extensive skillsets in dental assisting as well as overseeing the operation of a clinic and customer relation.